Why should Valentine's Day only be celebrated on February 14th? 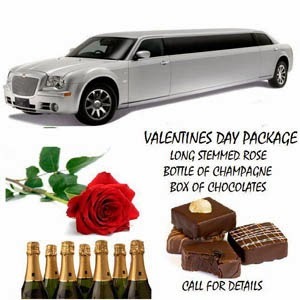 We have noticed that more and more people are celebrating Valentine's Day by reserving limousine's throughout the entire month. Create everlasting memories by surprising your someone special with something that you have never tried. Tour the wineries, see a show, go dancing or eat at a new restaurant. Remember, creating new memories with the ones we love will last a lifetime. So call us, because we can help you put together the most memorable Valentine memories that you will always cherish.